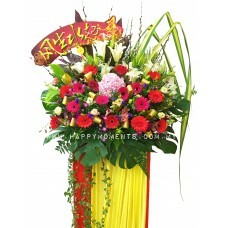 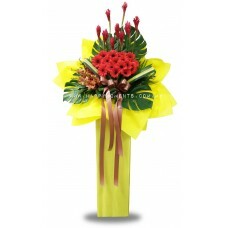 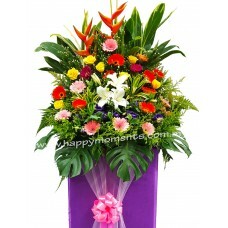 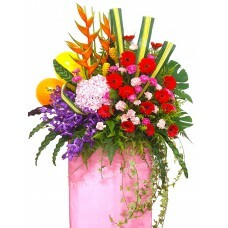 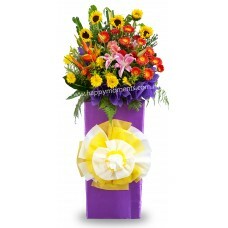 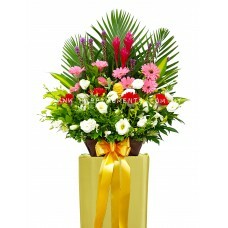 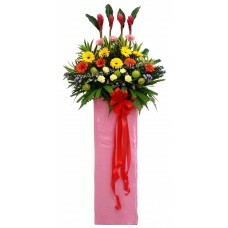 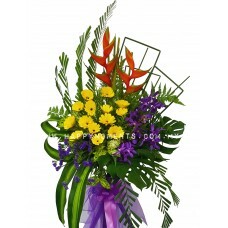 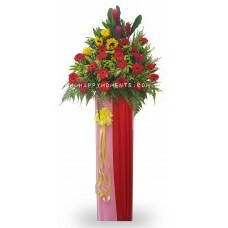 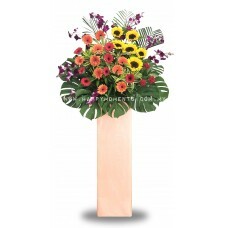 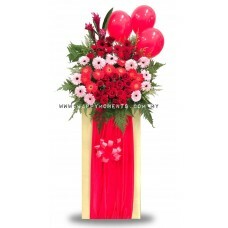 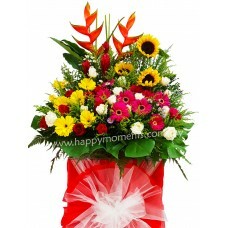 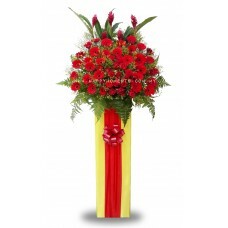 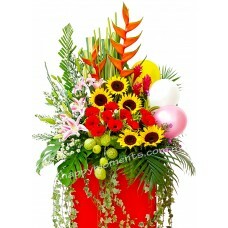 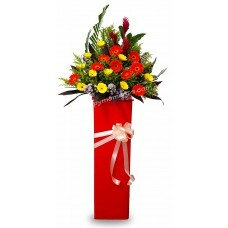 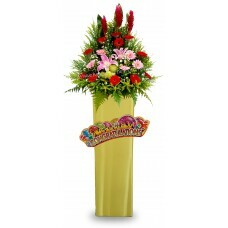 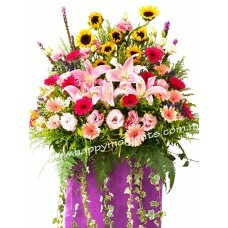 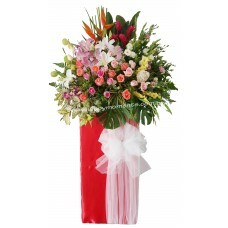 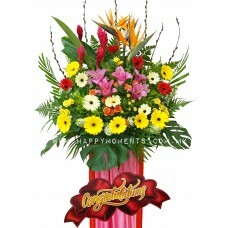 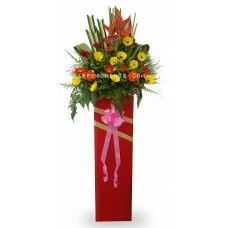 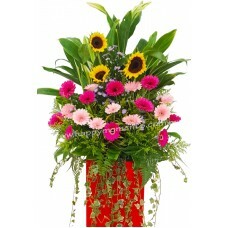 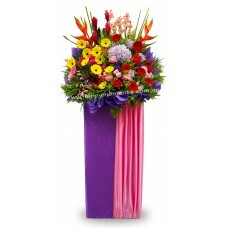 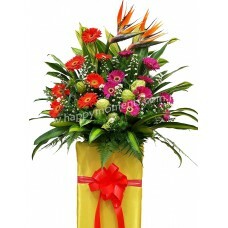 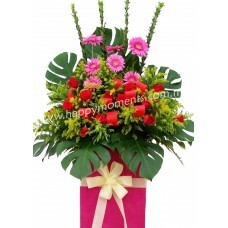 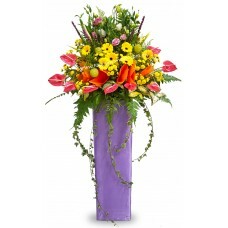 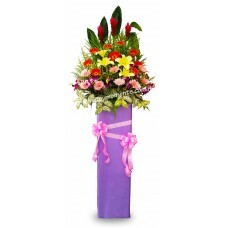 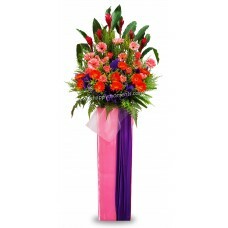 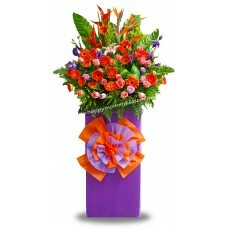 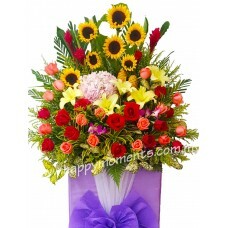 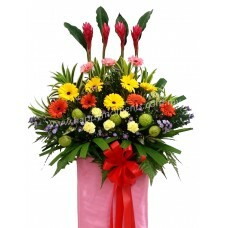 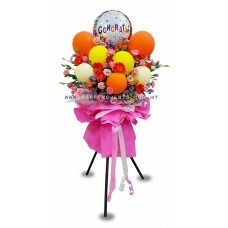 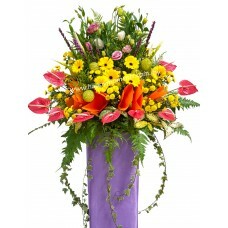 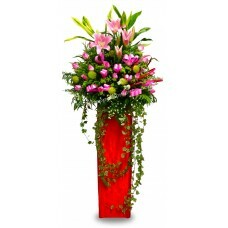 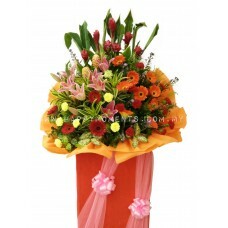 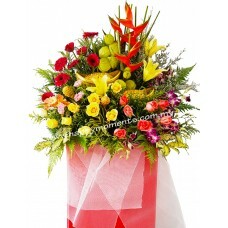 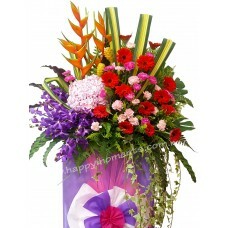 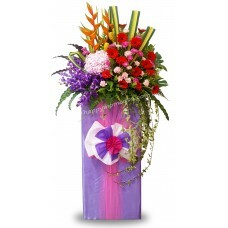 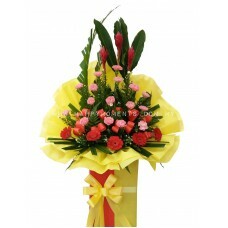 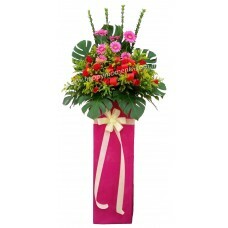 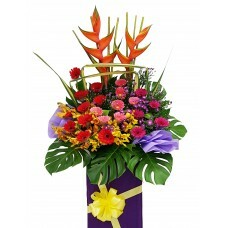 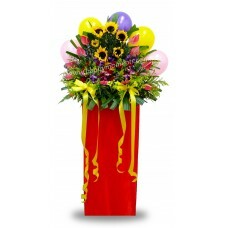 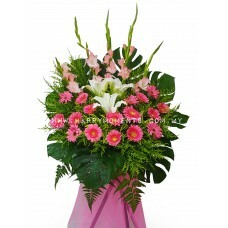 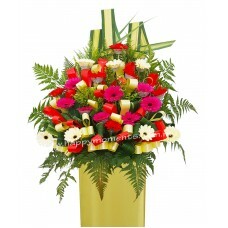 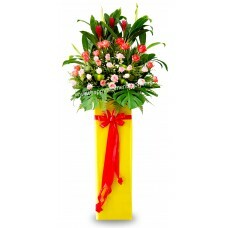 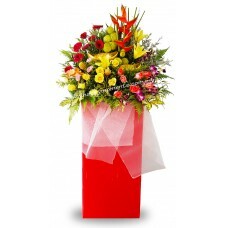 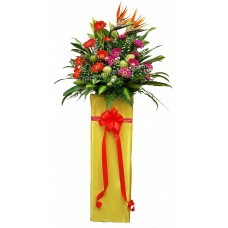 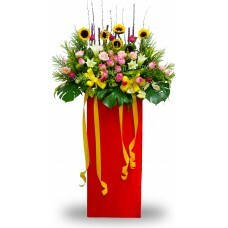 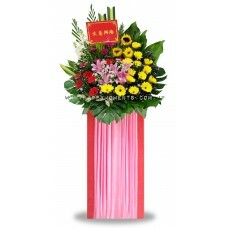 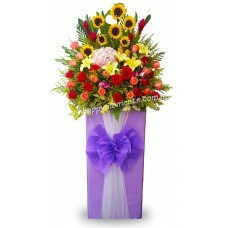 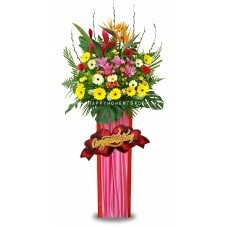 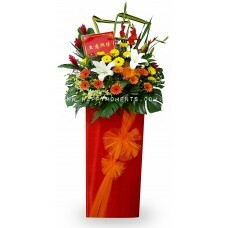 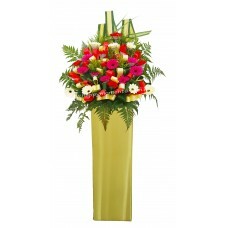 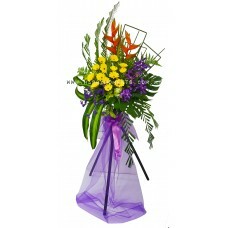 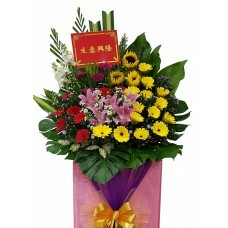 A Grand Flower Stand with Roses, Gerberas, Orchids, Ginger flower, Balloons and Brassica centerpiece. 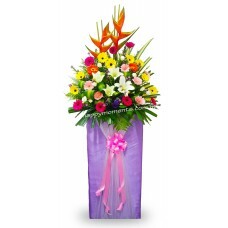 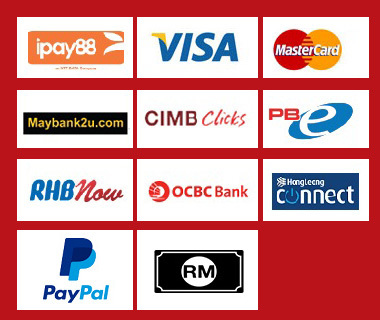 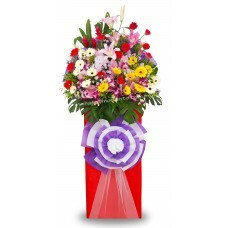 *note: Brassica needs 1-2 days advance order, if ..
A Grand Flower Stand with Gerberas, Eustomas/Roses, Liatris, Heliconia and Brassica.note: Brassica needs 1-2 days advance order, if unavailable will b.. 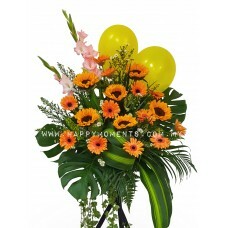 Opening Stand with Gerbera, Ginger Flower and Balloons..
An Opening Stand with Gerberas, Eustomas, Liatris, Ginger Flowers and fillers.. 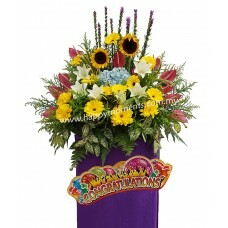 Opening stand with bird of paradise, gerbera, fruit casse and white peacock﻿..
Colourful opening stand with Sunflowers, Liatris, Gerberas, Anthurium and balloon.﻿.. 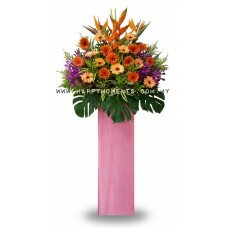 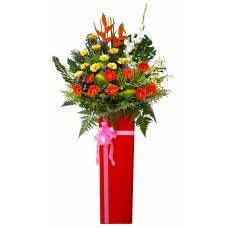 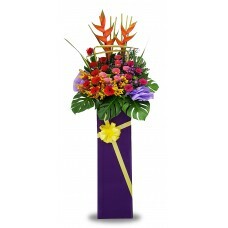 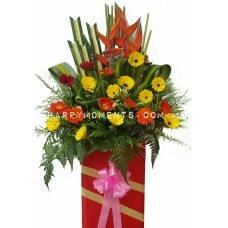 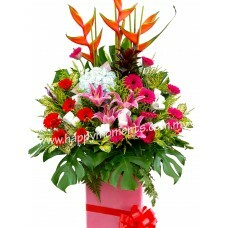 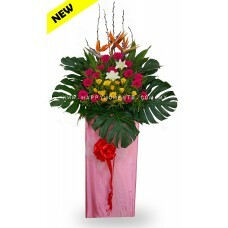 Opening stand with honycomb, fruit casse, ginger flower, gerbera and bird of paradise..
Red and orange flower stand filled with carnation and ginger flower, making your best wishes stand out from the rest!.. 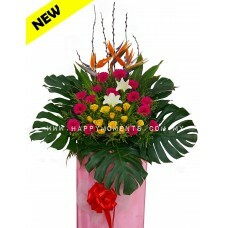 Opening Stand with Gerberas, Anthuriums, Ginger flower and fruit casse.. 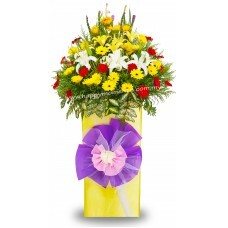 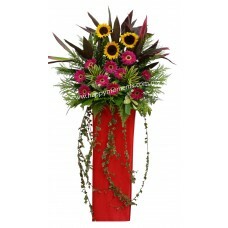 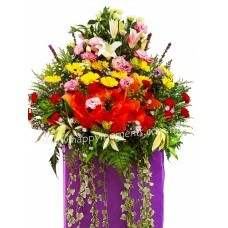 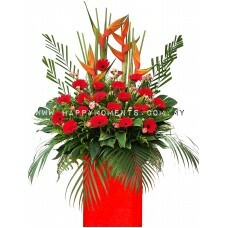 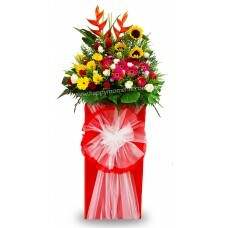 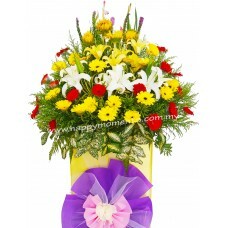 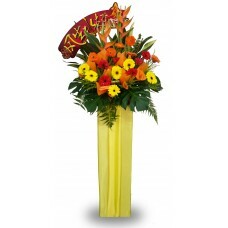 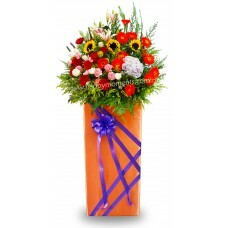 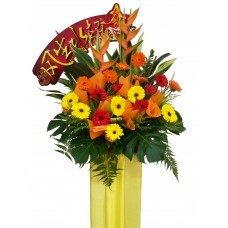 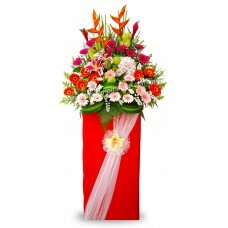 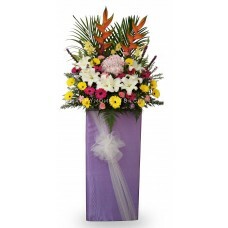 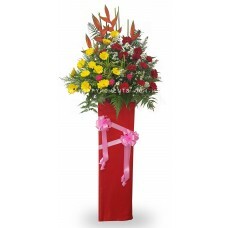 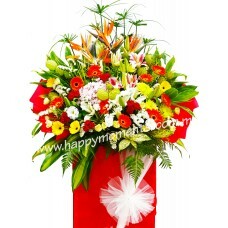 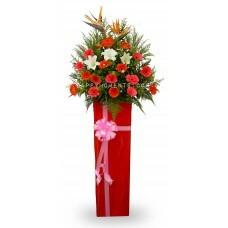 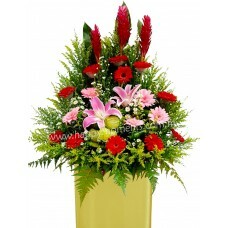 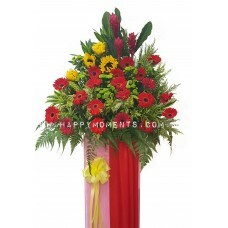 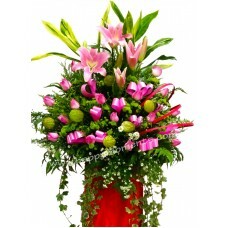 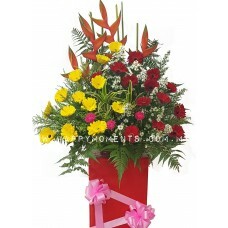 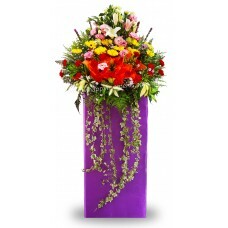 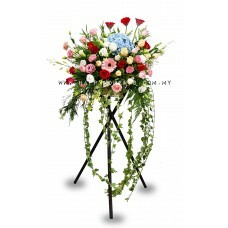 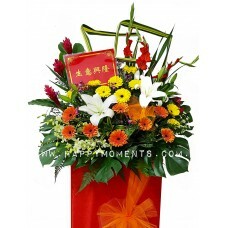 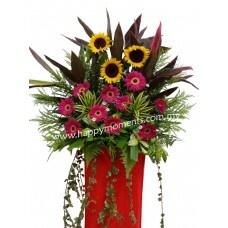 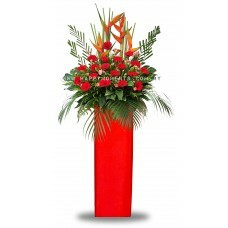 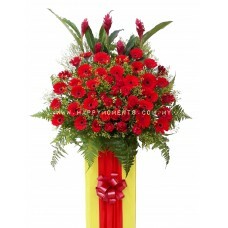 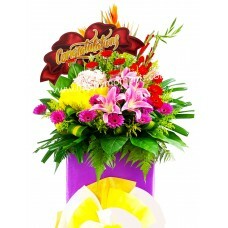 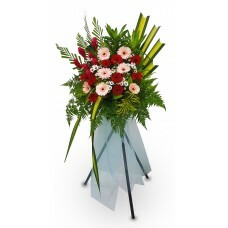 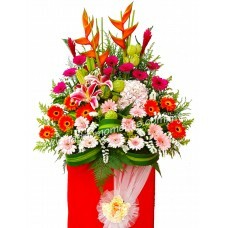 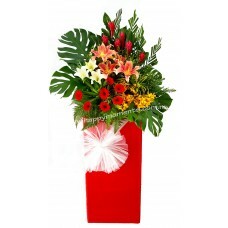 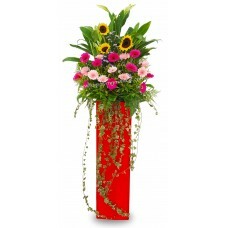 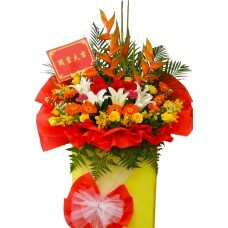 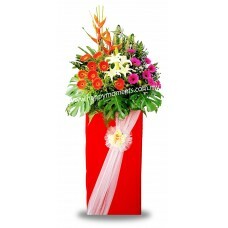 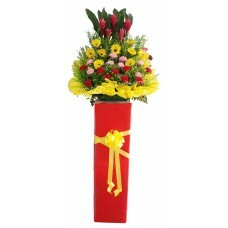 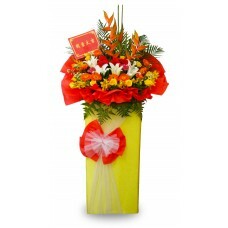 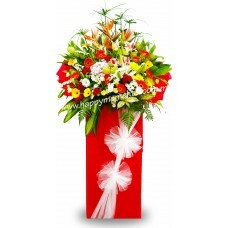 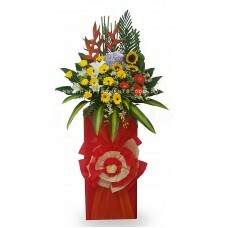 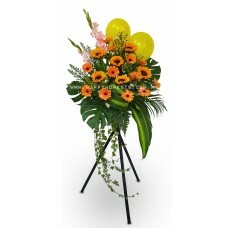 This flower stand for opening will make a stunning decor for the happy event. 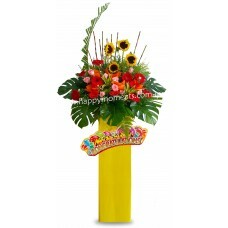 It uses an array of ginger flowers, roses and gerbera, and a variet..
An Opening Stand with Anthurium, Gerberas, Eustomas, Liatris, Fruit casse and fillers..
A wonderful stand for successful business ahead, especially for shop grand opening.. 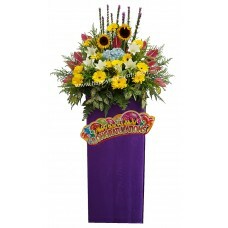 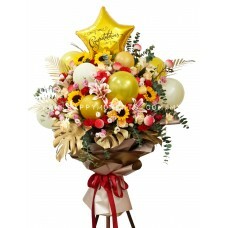 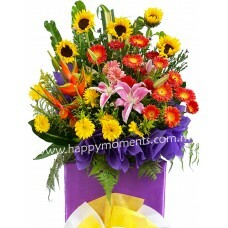 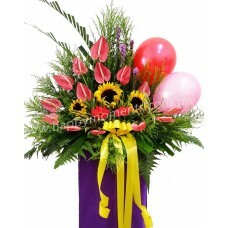 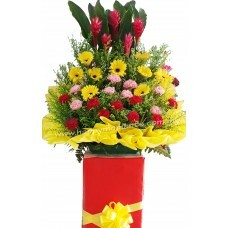 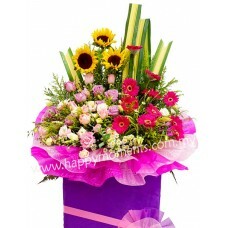 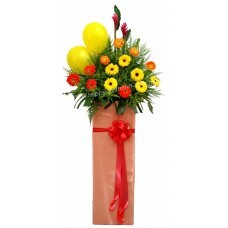 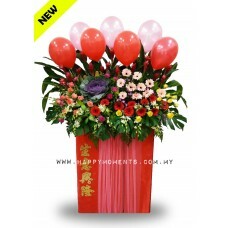 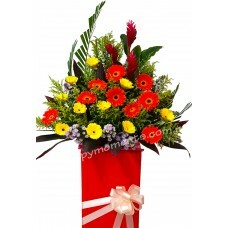 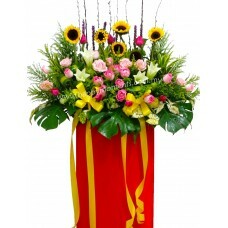 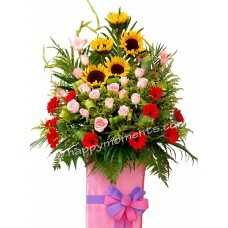 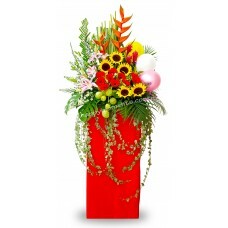 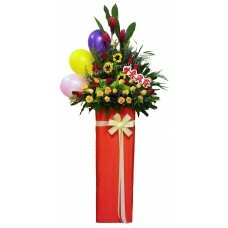 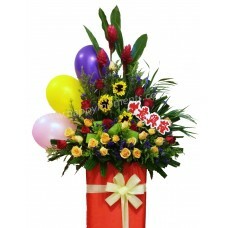 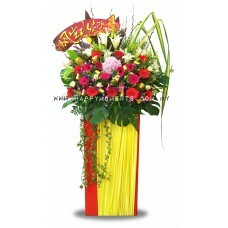 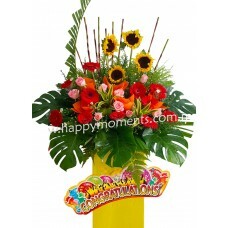 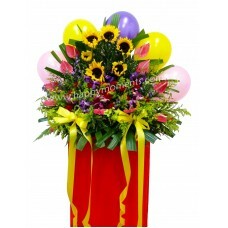 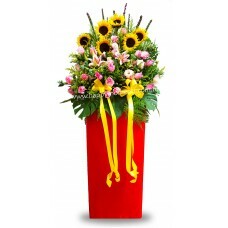 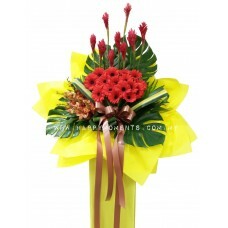 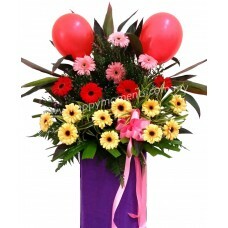 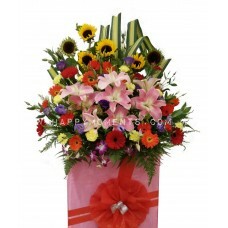 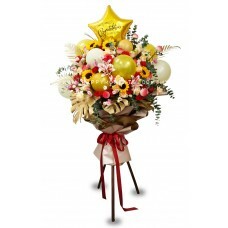 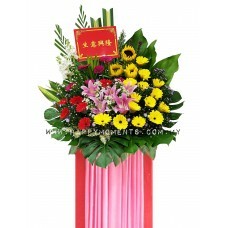 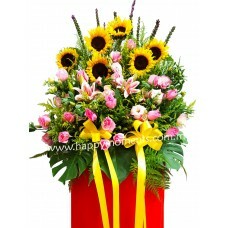 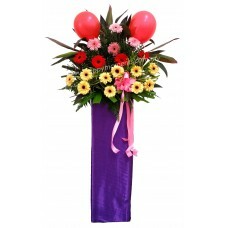 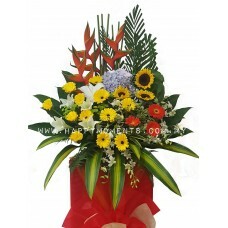 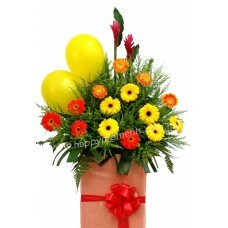 Opening flower stand with sunflower, carnation, orchid, yellow peacock, etc, accompanied by 5 colour balloon. 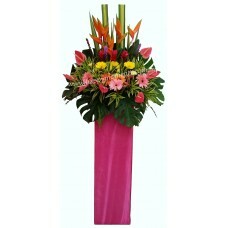 Definitely a colourful and happening flo.. 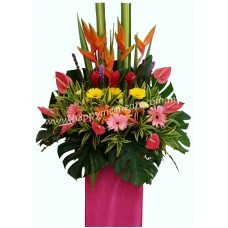 Opening stand with lily, liatris, hydrangea, sunflower, gerbera, anthurium and fillers..